Don’t go to the zoo, come here. ZUZUSHIIMONKEY are back into the sound jungle to play with DIRGE. All new material, as ever. Kicks off at 9.30 with DIRGE. 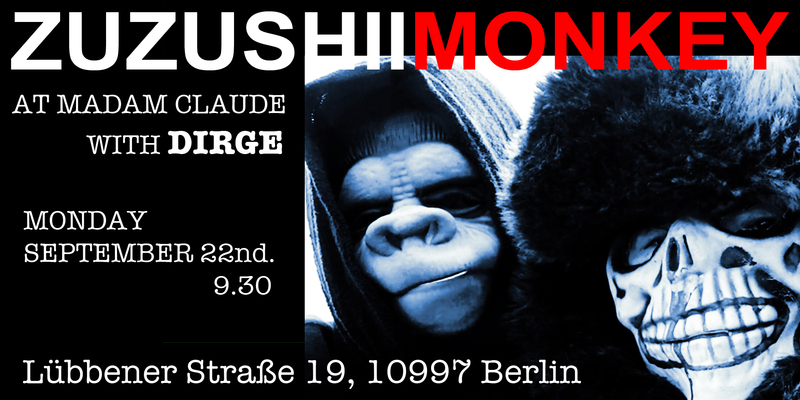 ZUZUSHIIMONKEY at 10.30. Don’t forget your bananas. This entry was posted in Uncategorized on September 6, 2014 by zuzushiiartlaboratory.